A minimum purchase of (24) is required for this product. 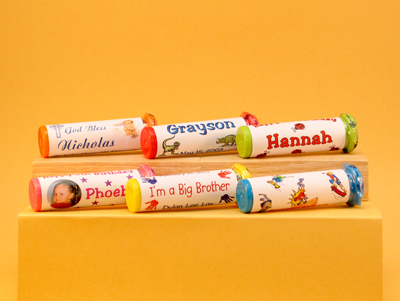 Our personalized M&M Tubes come fully assembled with candy. Party Wraps does not remove the tamper-resistant shrink band for your protection and to assure freshness. Another option is to order our do it yourself M&M Tube wraps and wrap them yourself. By ordering the "Wrappers Only", you can save a little money on the product & shipping cost. We supply the pre-cut personalized wraps with glue stick...you supply the M&M Tubes. 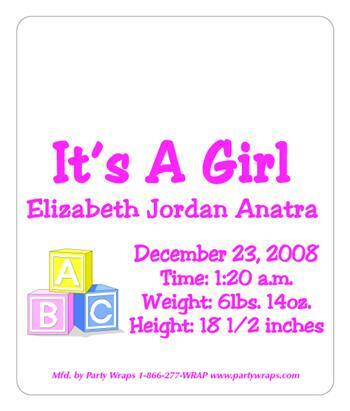 Party Wraps recommends the "Wrappers Only" option in the summer months and in warmer climates. specify your personalizations in the instruction boxes on this order form.